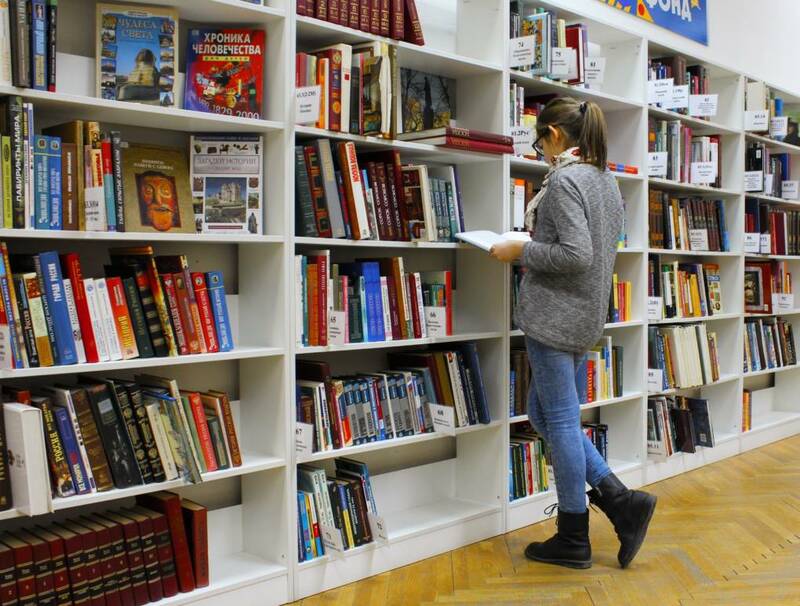 How to Get Your Students to Read More? Peer Recommendations. In my ongoing efforts to build a culture of reading in my classroom, I often overlook the best way to inspire a student to pick up a book: recommendations from a peer. 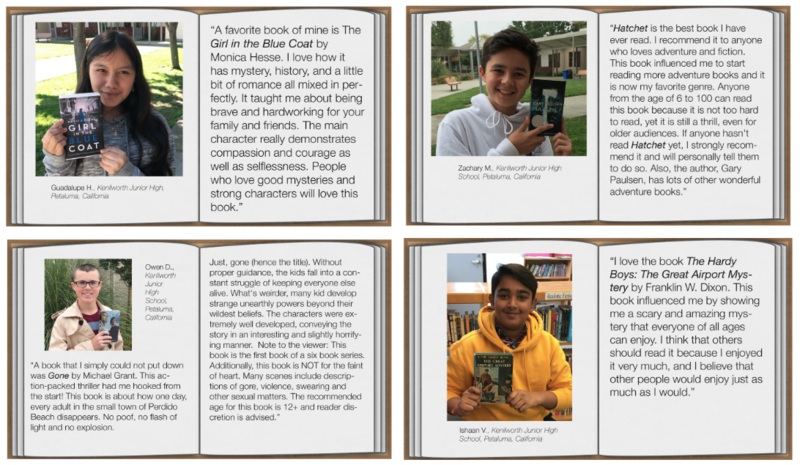 How can my book talks ever hope to compete with a teenager enthusiastically pushing a book into a classmate’s hands? And while it used to be a struggle to find efficient ways for my students to share book recommendations with each other, today’s classroom offers myriad options. One great feature of KQED Learn is that my students are able to learn from, investigate with and respond to students from all over the country. While most of our online work is done within a “walled garden,” where they only encounter students in our class or school domain, KQED Learn opens the door to students of any teachers on the Learn site. When my students interact with students there, they are exposed to lives, experiences and beliefs beyond their immediate community, which broadens their world view and deepens their empathy. This expansive walled garden helps my students build valuable digital citizenship skills as they learn to work online for academic purposes. Because Janessa was writing about a beloved book, she didn’t hesitate to jump back into the discussion, defend her opinion, and even offer some evidence to backup her claim. If we want our students to tackle academic literary analysis, we should take cues from students like Janessa who wade right in when the topic is near and dear to their heart. 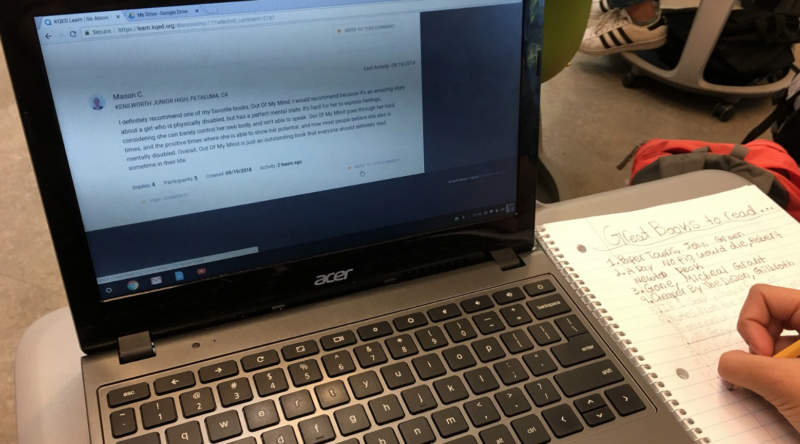 Another benefit of moving discussions to an online space is that students are able to read, think about and respond more thoughtfully than they might in a traditional, face-to-face discussion. 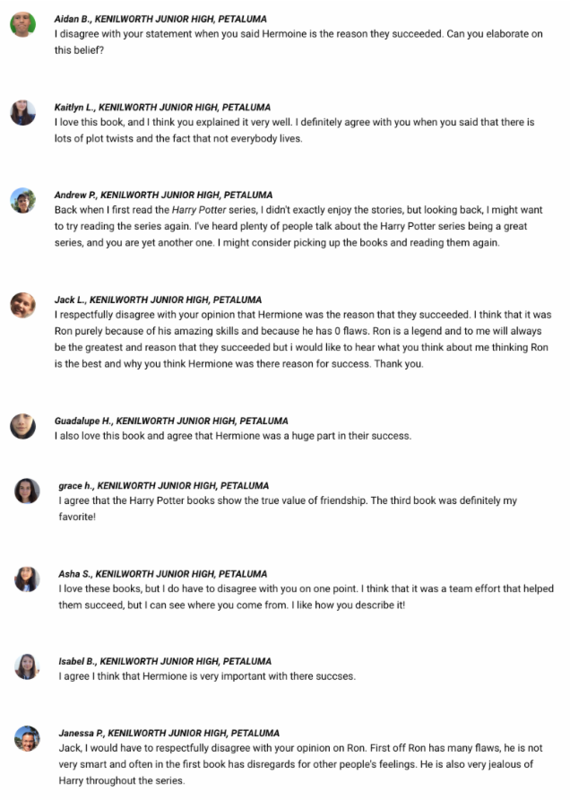 And since these conversations are stored on the KQED Learn site, we can return to them throughout the year, adding more good books, replying to more recommendations, and deciding once and for all if Hermione really was the main reason that she, Harry and Ron succeeded.